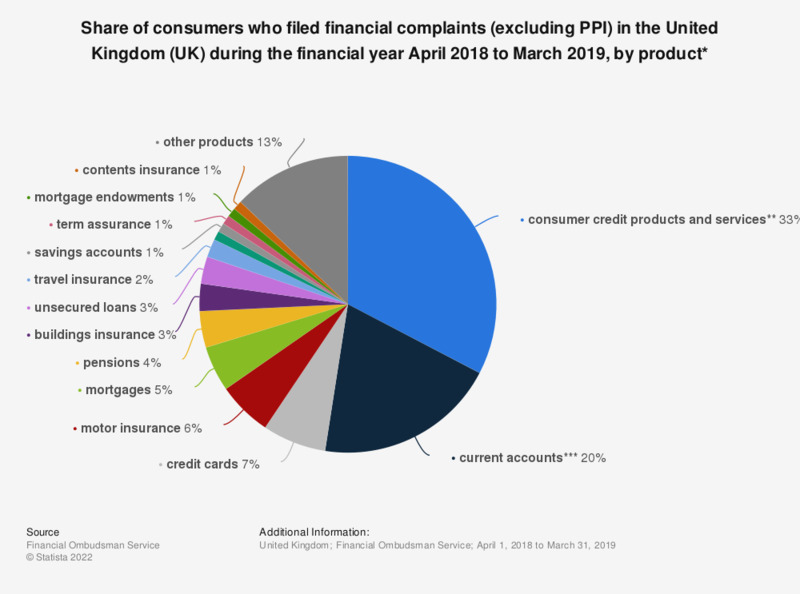 This statistic illustrates the share of consumer financial complaints against financial businesses in the United Kingdom (UK) in the financial year from April 2017 to March 2018, broken down by product. It can be seen that the highest share of complaints (excluding PPI) were against consumer credit products and services (24 percent) as well as current accounts (21 percent). *** (including packaged bank accounts).